We all miss a specific section for Passive Fire Protection in the new RIPCI (Spanish only), since these installations are as important as any Active Protection measure in case of fire. Passive protection’s aim is to avoid the fire spread among the fire sections and the building collapses before the people inside are able to evacuate. It is also essential for fire extinguishing services, so they can access and extinguish the blaze. We insist on the necessity of professionalising the role of passive protection installer. Likewise, it is recommended that the installation is verified by an external quality company, as it is developed in active protection, or to keep a record of passive protection installation and maintenance companies with a head Technician that manages each facility and provides the pertinent Official Certification. The Government missed a golden chance to regulate this as it has been done with Smoke Exhaust Systems or Fire Signals, which are vital for a proper evacuation. 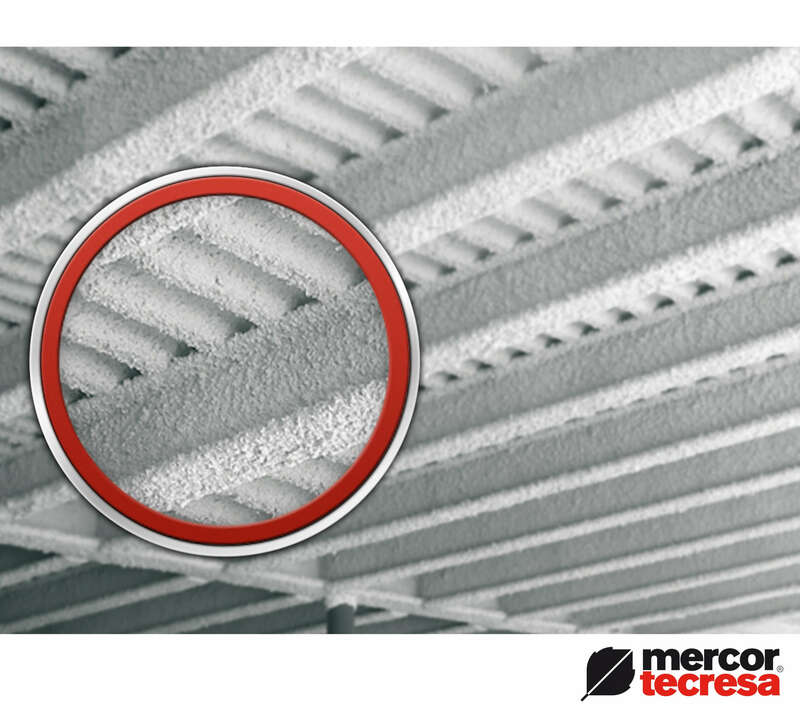 Another key point is the maintenance of passive protection systems. It is quite common to see old -and not so old- facilities with sealing systems for installation ducts in appalling conditions in order to put more cables though; steelwork with partial-applied fire-resistant mortar because anyone covered the peeling produced by the daily activity; or an old intumescent paint without its corresponding coating. We the professionals know that, in case of fire, this will not either produce intumescence or give protection to the profile because of their poor condition, due to the organic nature of the intumescent paint. We can also find cracked panel systems caused by some impact. It is obvious that all these installations that hold their corresponding “lifetime certification” will not perform properly in passive fire protection, and nobody is taking care of its regular maintenance. It is not a secondary or non-relevant issue, but as important as any extinguisher or fire detector, which must provide a compulsory maintenance. It is as simple as an official form, a qualified technician and a visual inspection to verify the facilities comply correctly with their functions. If not, corrective measure will be taken and attached to the corresponding certification, as it is done in any regular maintenance procedure. In many countries like France and United Kingdom, these kind of passive protection systems are considered as relevant as they must be. The Spanish Government must not forget this crucial matter. We hope a change on this issue take place in time without suffering a tragic situation with human losses.